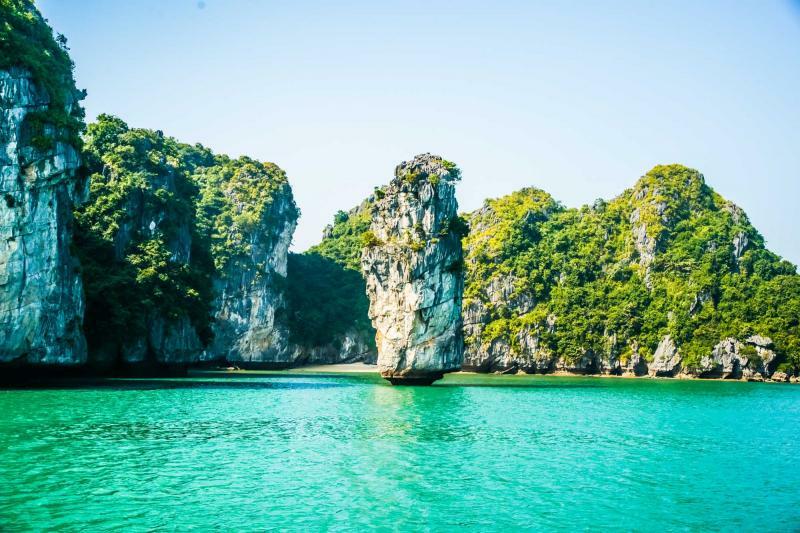 The history of Vietnam runs through the landscape and the seaside bringing the beauty of lush mountains to the elegant waters decorated with towering karsts. 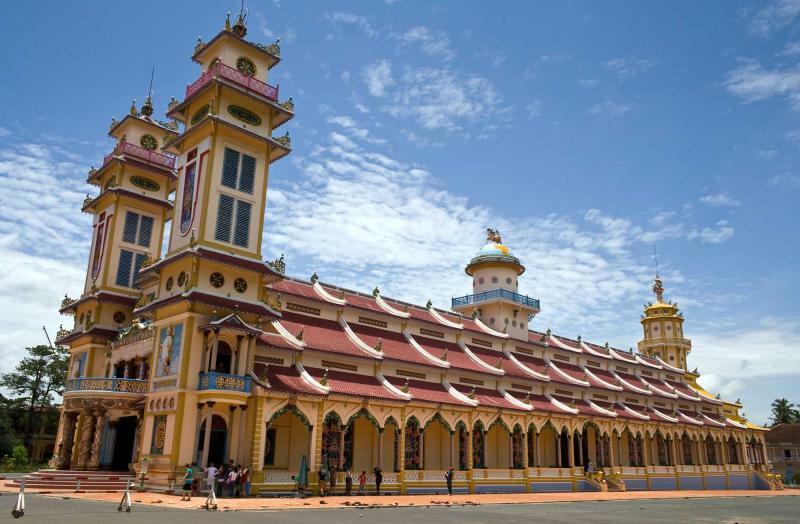 On this custom tailored Vietnam tour you will find the tremendous culture that thrives amongst this wonderful landscape, stemming from regal pasts and growing from contemporary history. From Hanoi to Ho Chi Minh City, the north to the south, you will find iconic majesty in the glowing hills decorated with paddy fields and the meandering waterways of the Mekong Delta. 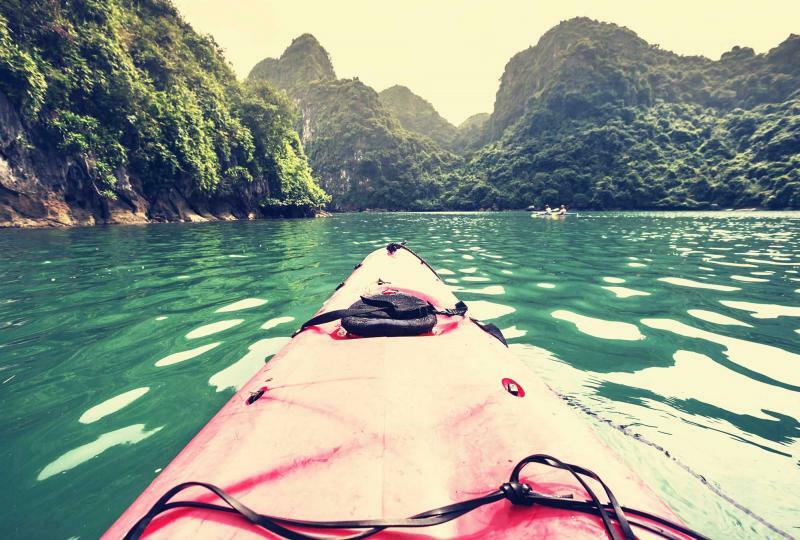 With an incredible itinerary and private guides you will find a stunning world. Within the fabulous landscape of Vietnam is the remarkable culture that has risen through the centuries. 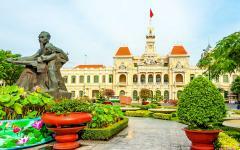 On this 10-day tour through the north and south you will find the past, present, and future of the county within the diverse streets of Hanoi and the bustling halls of Ho Chi Minh City. Step along the Ho Chi Minh Trail and witness the contemporary history of a war not yet forgotten. Experience the grandeur of the Imperial City while enjoying the natural splendor of the celebrated Ha Long Bay. 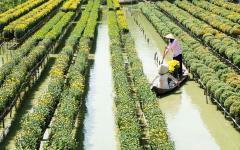 This is more than a simple tour through the countryside; this is the exceptional culture of Vietnam. 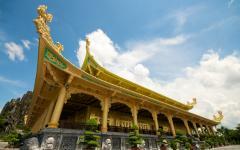 Your customized journey through Vietnam begins with your arrival in Hanoi. The country’s capital is filled with energy and serenity, marked along the streets and displayed within the charismatic gardens that surround the various lakes. 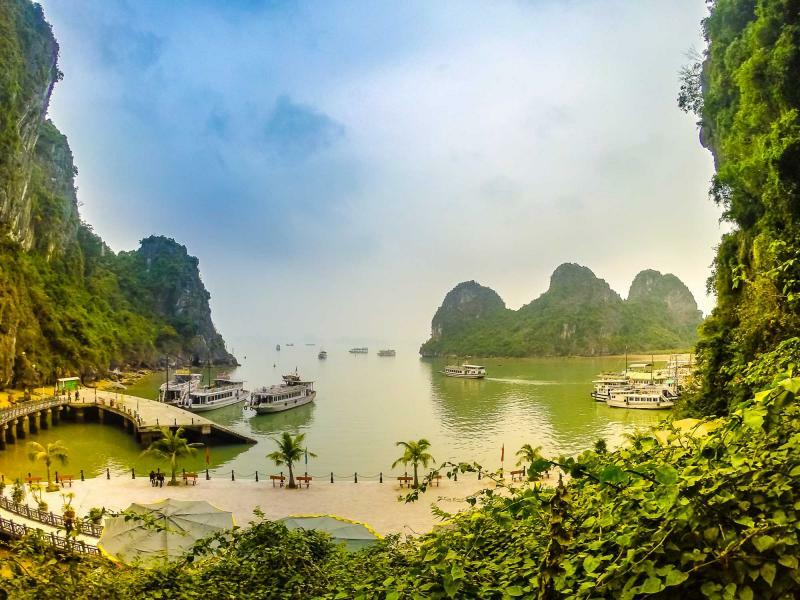 Ha Long Bay is filled with exquisite scenery, from rising karsts to shimmering caves all set along pristine waters. 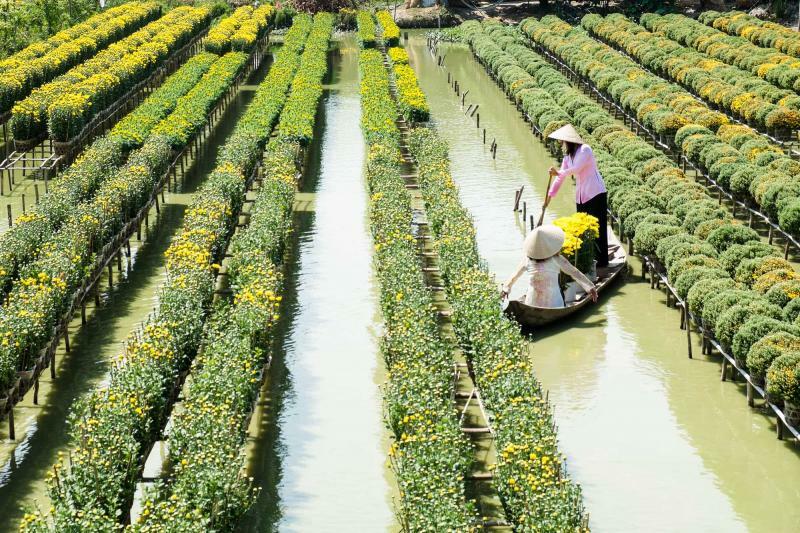 A day trip will let you soak in the beauty of the sea before returning to Hanoi. 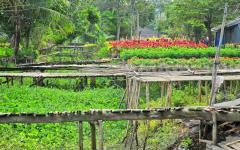 The surrounding villages of Hanoi decorate the spectacular countryside. 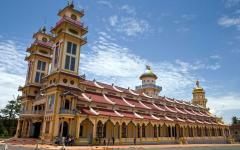 You will visit a plethora of villages that have maintained their culture for centuries, including Bat Trang. 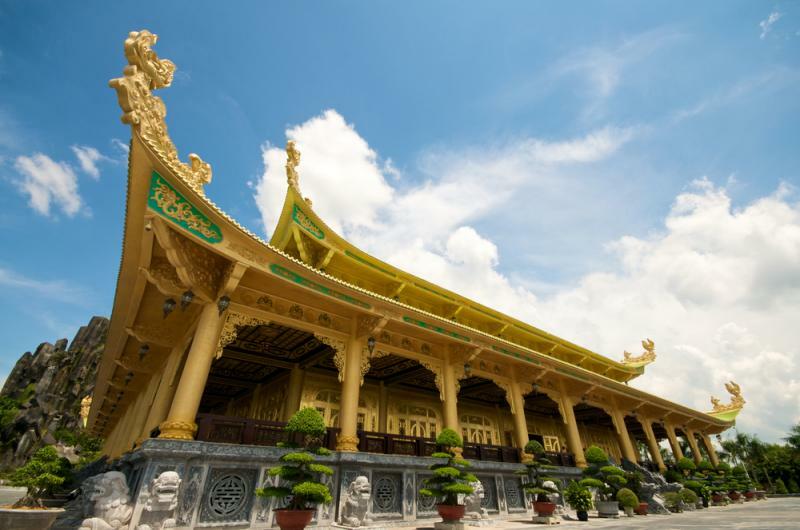 From Hanoi you will transfer to Hue, known as the old Imperial City, which continues to impress with its sensational architecture. 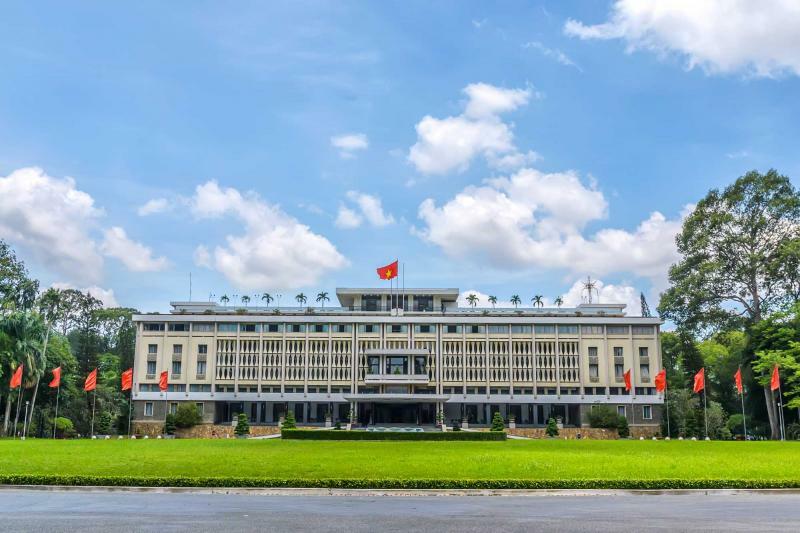 From the Imperial City you will venture outward into the more recent history that marks central Vietnam, once known as the Demilitarized Zone. 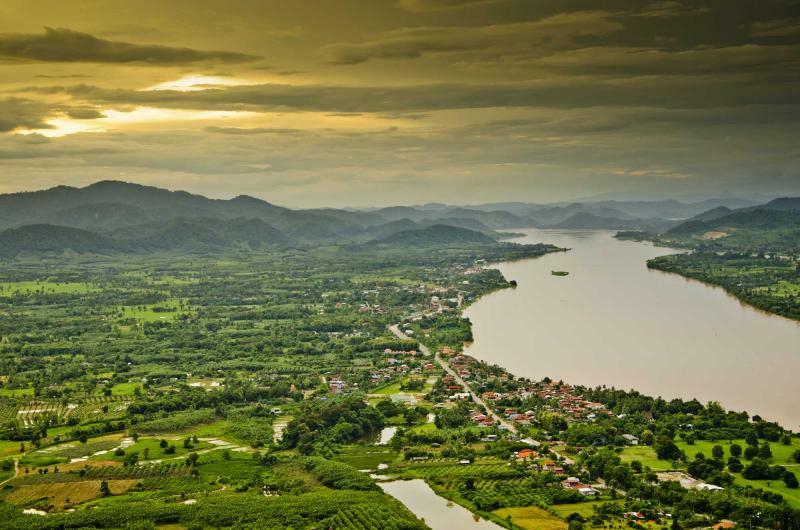 Through Hai Son Village and Quang Tri Province, you will wind along the mountains that run against the East Sea where Ben Hai River once demarcated the division between the north and south and where Vinh Moc Tunnels continue to wind through the hills. From Dong Ha you will discover more history reminiscent throughout the landscape, including actual sections of the Ho Chi Minh Trail and the museum at Khe Sanh Town, before returning to Hue. In the morning you will travel along the splendor of Hai Van Pass into Danang where the Cham Museum displays remnants of the country’s ancient history, before you enjoy a drink along the waterfront at China Beach. 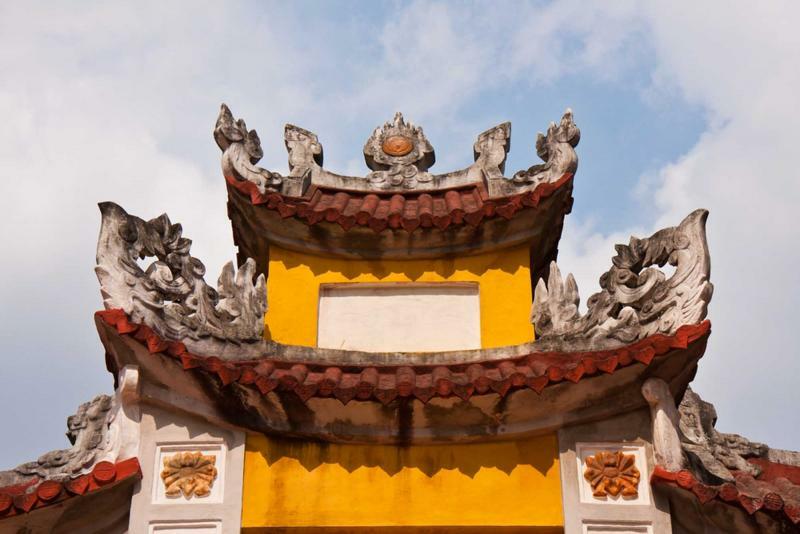 Once in Ho Chi Minh City you will explore the beauty of the evolving culture that mixes past and present. 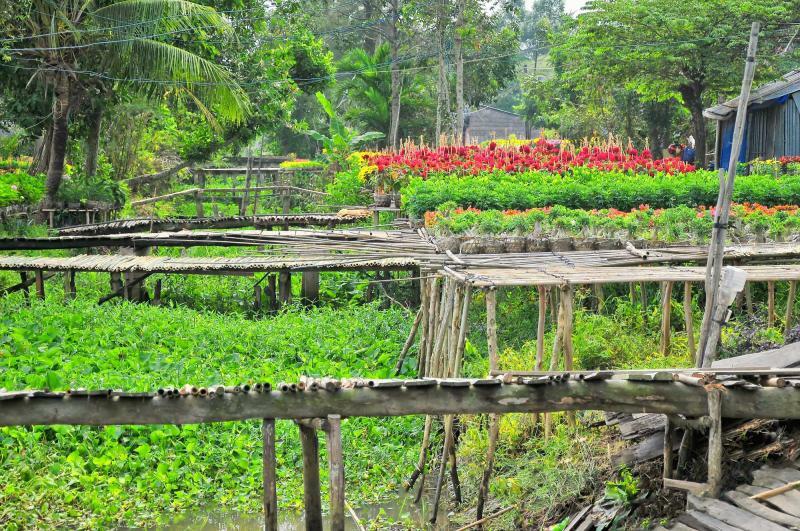 The following day you will partake in a cruise down the Mekong Delta finding the beauty of the landscape that blends with the grace of the villages resting along the riverbanks. Your Vietnam discovery soon ends and you make your way home. 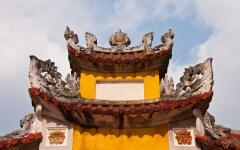 Your arrival in Hanoi, the nation’s capital city, brings with it an unexpected diversity. The lakes and ancient pagodas are surrounded by edging trees while the modern city balances its energetic pulse with a sleepy ambiance. The scent of Vietnamese drip-coffee plays through the streets while the pedestrians, motorbikes, and bicycles flow with focus and ease. The city feels like no other that you have experienced; a mixture of European elegance with Southeast Asian energy which blends into a unique and customized world you can’t wait to experience. 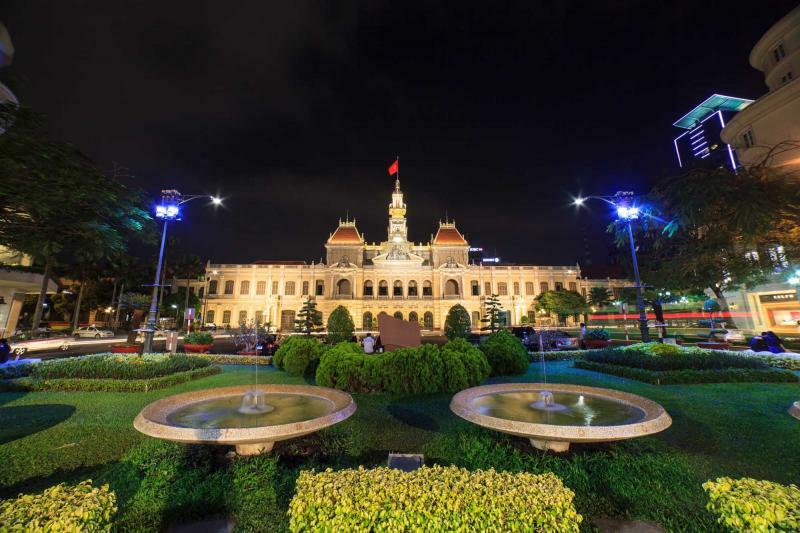 With the day at your leisure to explore the remarkable expanses of the cityscape you could visit the Ho Chi Minh Mausoleum Complex where the remaining artifacts of the country’s leader bring an interesting education to visitors. Just west of the Old Quarter brings the serene botanical gardens filled with monuments and memorials. On the pathway behind the mausoleum you will find the large, yellow presidential palace sitting alongside lavish trees and a manicured garden. However, Ho Chi Minh chose to live in the simple house on stilts nearby. The fragrant trees give delightful aromatics to the afternoon while the color drifts from green to red reflecting in the pond. The wooden tiled house contains the life of Ho Chi Minh, from the chairs around a single large table meant for meetings, to the bookshelf on the second floor where his typewriter sits on the bottom ledge. 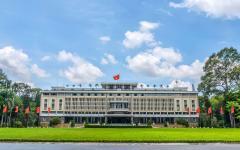 Hanoi is rarely what people expect, from its balance to its elegance, charm to its energy, and you have found remarkable beauty in the beginning of your custom tailored tour. The morning brings with it the energetic streets and alluring scent of fresh coffee. 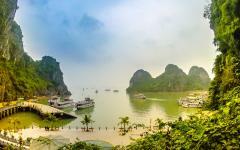 You meet your guide and venture away from the city for the day to the shores of the famous Ha Long Bay. 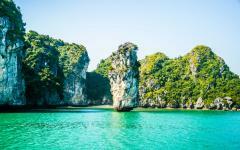 The bay is known for its tremendous landscape along the Gulf of Tonkin where thousands of islands have been carved into the clear emerald waters. A boat will take you along the sea. You can see the water glistening in the sunlight like a precious gem. The sweet scent of the salty water rises along the boat while major limestone karsts tower out of the bay. The majestic scenery is like something out of a movie as you see fin-tailed sails billowing in the soft breeze. Find yourself exploring Heavenly Palace Cave, noticing the four large pillars at the center which support the cave’s ridge, known to visitors and guides as the ‘roof of heaven.’ The enormity of the cavern brings a sense of awe to you and luster to the stalactites and stalagmites. The cool, damp air surrounds you as light shimmers off of the stones. You will return to Hanoi by evening with the captivating aromatics of ginger and chili guiding you through the streets. The morning in Hanoi brings about more light which stretches over the mixture of serenity and urbanity, where the water trickles along the lakes, the leaves sway in the morning breeze, and the streets bustle with the rising sound of early risers. After breakfast you will be met by your guide and taken into the countryside where the villages outside of the capital city have evolved in their own way. The village of Bat Trang is known as the Pottery Village. Found in a region filled with rich clay, the villagers took advantage of their natural surroundings within the 15th to 17th centuries creating a demand for their pottery as far away as Japan. Set within the overarching greenery are the village streets lined with brilliant productions, from vases to tea cups, soup bowls to planters, shaped elegantly and distinctively and alive with color. Whether watching villagers, from old men with dangling beards to young girls with small hands and tight pony-tails, perform their craft, or attempting to mold the clay yourself, the village is a unique and diverse image of Vietnam. Trade has helped shape the streets and the people for centuries, and the immense greenery of the landscape continues to spread outside of its borders. In the morning hours you can venture into the botanical gardens and lakeside beauty of Hanoi, letting the cool air rush off the water and brush against your cheeks. Soon you will find yourself in Hue, where you will be met at the airport by your guide who will lead you onto a dragon-boat on the Huong Giang. The Perfume River winds through the old Imperial City where the serene water brings ambience to the regal surroundings including the century-old fortress walls. 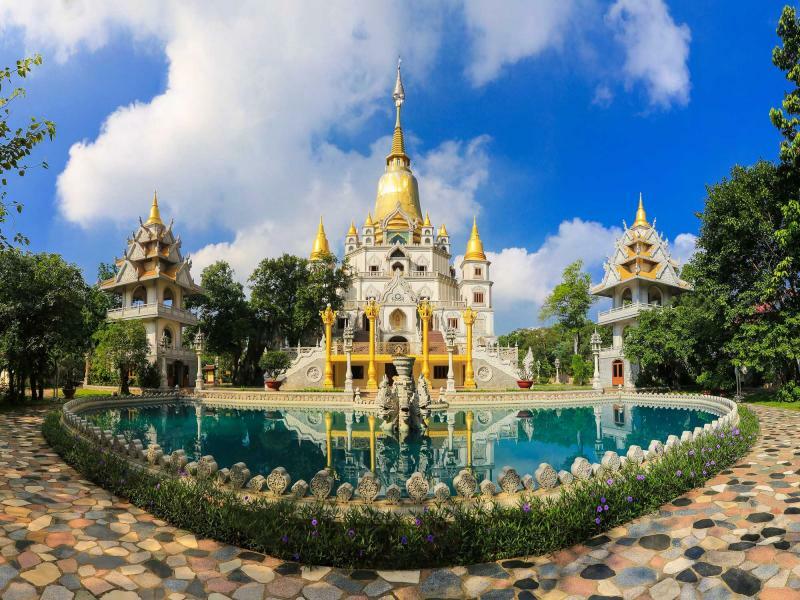 Your ride will bring you to the Thien Mu Pagoda, a large standing temple at the top of a small hill overlooking the river. The concentric hexagonal shape gives artistry to the rising tower constructed in the 19th century. The seven tiers are dedicated, one each, to the Buddha that appeared in human form. Buddhist guardian statues are attentive at the triple-gated entrance that leads to the inner courtyard where the pagoda stands. 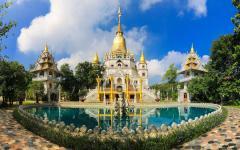 The boat will once again take you down the water to the tomb of Emperor Minh Mang. Constructed in the 19th century, the natural landscape is combined with complex architecture to bring about its lavish beauty and organic allure. Steles Pavilion stands atop a plateau and is filled with a biography written by the emperor’s son and New Moon Lake is filled with lotuses and draped with a stone bridge that allows you to walk along the calm water and through the gateway to the tomb. 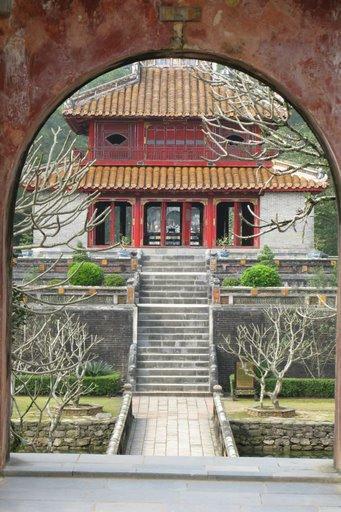 In the afternoon you will return to Hue venturing away from the wonderful reminder of the imperial past. The quiet air wraps around Hue in the morning. After breakfast you will be met once again by your guide and driver to venture into Quang Tri Province located along the coast of the East Sea. Within the city of Dong Ha you will discover the tumultuous history of The American War detailed within the Mine Action Visitor Center and Bao Tang Quang Tri; however, the remarkable nature of the war is also still prevalent within the stunning countryside. The Vinh Moc tunnel complex is located on the border of North and South Vietnam and was meant to shelter people during air raids within the Demilitarized Zone. Stretching a length of over 6,000 feet with six entrances that lead to hilltops and seven entrances that lead out to the South China Sea, the inner-workings of the tunnel system are captivating, from the rocky walls lined with lighting to its structural plan and organization. Model men and families are fashioned to show the lives of those during the war, whether near the hidden entrances or deep within the tunnels resting along padded mats. Above ground running over the 17th parallel and the Ben Hai River is the Hien Luong Bridge which connects the south and the north. The history of the war is still palpable, whether above or below ground, making the intersecting stories more important. After breakfast you will once again venture out into the countryside that stretches along the coast and which once wound over the borders of Cambodia and Laos. The Ho Chi Minh Trail was used as a supply route in the 20th century and was considered an engineering feat. The lush vegetation of the landscape continues to grown around the pathway that runs through the mountains, displaying the fighting past intertwined with the lavish colors of the present as they drift along in splendid unity. Deeper along the Demilitarized Zone you will come to Khe Sanh, a small city that was once home to fierce forces. The military base has become a well-preserved museum that features photos and an old airstrip where American helicopters continue to reside. The surrounding mountains and spreading grassland often makes it hard to imagine the battles that once took place within this exquisite landscape; however, the ambiance of the area feels consistent with that of the trails, marking the history that connected two separate countries. 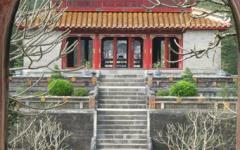 In the evening you will return to Hue and the grandeur of the old city. Today you will once again depart from Hue finding yourself along the road that takes you through Hai Van Pass. The wonderful scenic route brings you along undulating hills that overlook the bay. The pass rises over 1,500 feet above sea level and is filled with rugged beauty, from the jade land to the emerald water. Often times you can find yourself winding in and out of the clouds at the peak while still finding an expanse of dark color from the canopy below. Once in Danang you will find a city that is brimming with change, and filled with luxurious resorts stretching along China Beach at its south. Within the Cham Museum you will find hundreds of sculptures within a French Colonial building trimmed with Cham elements. Brought from architectural sites from around Vietnam, the museum brings together images of Ganesh and Shiva, Vishnu and garudas adding to the display of Cham and remnants of the Kingdom of Champra within the building. The morning is yours to enjoy the flavors of Danang, from breakfast to the scenery, before having a private transfer to the airport. 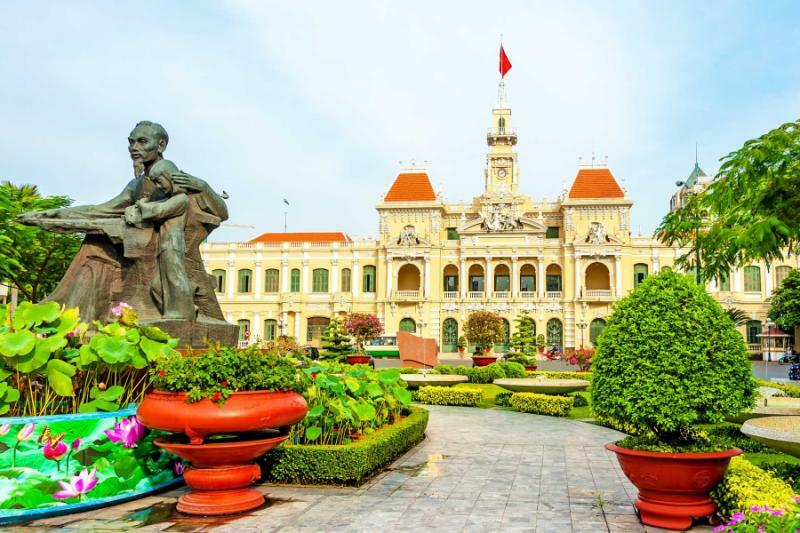 Soon you will be venturing through the colorful streets of Ho Chi Minh City, still referred to by many of the locals as Saigon. The city bursts with fabulous energy, mixing past traditions with mesmerizing modernity and elegance. The scents of ginger and chili are illuminating as motorcars glide through the streets next to bombastic cyclers carrying bundles of produce with them. Find yourself standing beneath the giant stone of Notre Dame Cathedral. Constructed in the 19th century, the two bell towers reach to grand height of 190feet. The familiarity of the building comes from its materials and design, with all the components having been imported from France. The interior’s lofted ceilings and majestic tiles add to the elegance of the structure. You can hear the quietest of footsteps echo along the walkway from the door to the dais. The scent of myrrh overtakes the earlier ginger and you find another piece of the French Colonial past telling the story of Vietnam’s present. 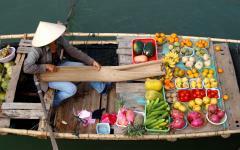 An early morning breakfast brings you from the bustling streets of Saigon to the bustling waters of the Mekong Delta. 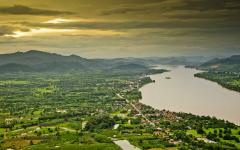 The remarkable waterway breaks into nine major arteries that have given life, culture, and sustainability to various regions of Southeast Asia. 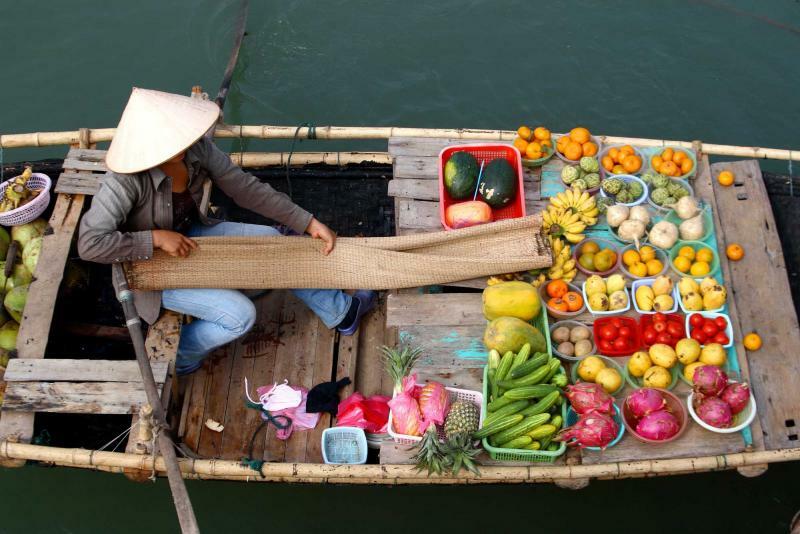 Once in Cai Be you will board your boat and find the extraordinary calls of the Floating Market. Traditional canoes are stacked with barrels of produce, from chilies to pineapple, and the market is a place where you can see local traditions at work. The scent of simmering soups and fried fish help bring the day to life. People pass large poles through the air filled with a vendor’s goods or passing back the money owed. The marvelous display of culture readies you for the day cruise to come as you begin to glide along the water finding the grandeur of the landscape accompanying you. As you find yourself within the calm waters surrounded by the evergreen terraces that climb up the mountains or bordered by swaying, rising palms, you will step off of the boat at Bonsai Gardens to find the serenity of the simple trees around the delta. With their solid wood frames and sprawling but thin branches the bonsai is known for it ability to be shaped into wonderful sculptures and for having a calming effect. 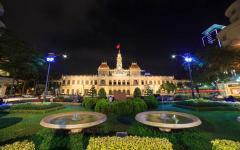 In the afternoon you will return to the pleasures of Ho Chi Minh City within the energetic streets that have welcomed you in. The morning comes with a wash of light over the vibrant city. You have come to enjoy the organized chaos of Ho Chi Minh City as a form of uniqueness that has gone unnoticed or unseen before. The morning is yours after breakfast to enjoy parts of the city that you may want to revisit, place such as the Big Market known as Cholon, where the scents and the sights of the food are captivating. However, your private transfer will meet you at noon ready to take you to the airport for your flight home. You have ventured through the luxurious histories of Vietnam, from the culture to the traditions, and through the evolutions, giving you a highlight of its hidden pasts and treasured future. Consider adding on to this tour. 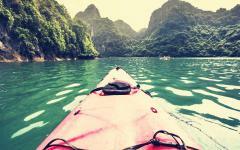 Browse the Vietnam travel reviews for ideas and to read what travelers experienced while on their customized trips.